Venice brings a lot of people together, and you never know how small the world can be until you open up and start talking to others. That's what happened when Essie Blankson-Turner was dining at Wabi Sabi and met Jessi Ashanti, who was waiting on their table. Ashanti saw that Blankson-Turner's sister had her baby tied to her back with colorful fabric in the style of Ghana women, and asked where they were from. Ghana was the answer, and as both women are Ghanian, a friendship - and a business called Amba - was immediately born. 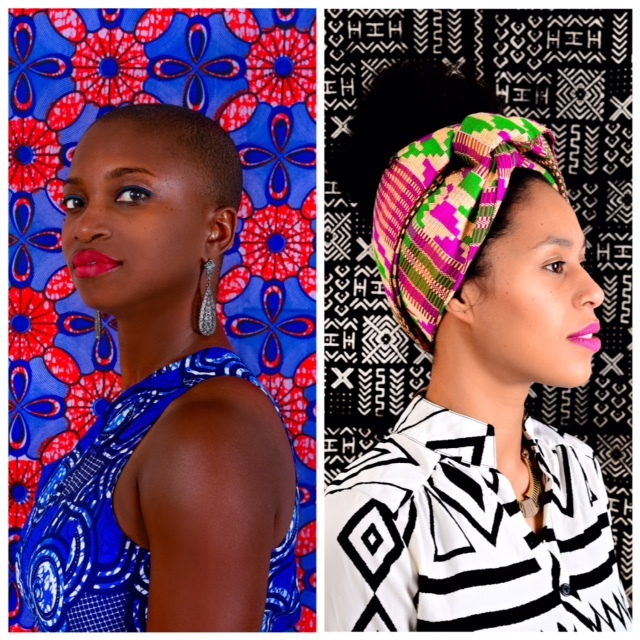 Both women shared a love of their native land's fabric (though born in London and Germany respectively, both Blankson-Turner and Ashanti are ethnically Ghanian), and wanted to do something that would share that love with the world. They met up to discuss all of this, and it was just ON from the very beginning, and everything just clicked. "It was just magical," explains Ashanti of their meeting, a term often associated with people meeting in Venice. The ladies wanted to do something creative, and as both women are lifted up by very supportive husbands in the business world, it gave them the freedom to take their time to think and plan and sort out what they really wanted to do. It was ultimately decided that they would import the fabrics that they love from their native Ghana, and bring all that color and beauty to their lives in California and beyond. Home decor covers a lot of ground, so they figured that would be the best place to start ... with stunningly gorgeous cushions, pillows, fabrics by the yard, and things in that interior design vein, with the idea that once that area is perfected, it would be easy to branch out into other areas, like lifestyle accessories such as bags and fashion, all of which are in the works. Family friends in Ghana sent over the initial box of fabric, and the response to the authentic African prints was enthusiastic and almost overwhelming. In a time when the market has been flooded with fake prints from China, it's extra crucial to Amba's founders that all of their fabrics are supplied by vendors from Ghana, and that are supporting the true African artisans. This is because these prints have MEANING. For example, there are prints that are only meant to be used by royalty, so sacred and regal are they. There are prints like the "Nsu Bura" meaning "The Waterwheel" that are among the oldest Adrinka symbols used in Ghana, with meanings that go back for generations. Each weave is different to each tribe, and you would know to which tribe someone belongs based solely on what they were wearing. The fabrics are hand printed, and no two are the same as a result. This stuff is the REAL deal. 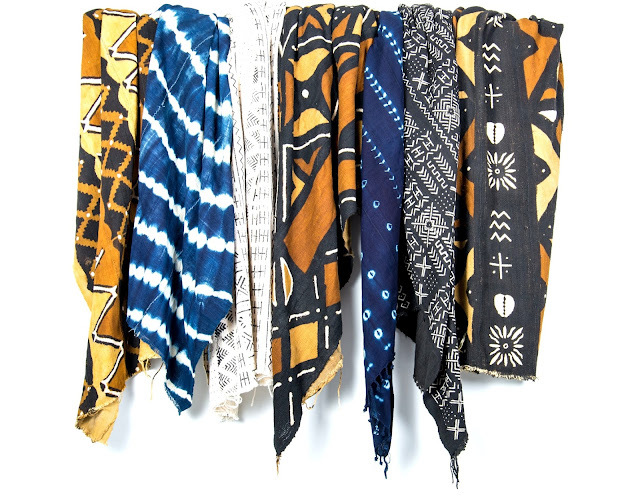 It's so important that the fabric that Amba uses is authentic that Blankson-Turner herself traveled twice to Ghana last year (all while raising three little kids!) 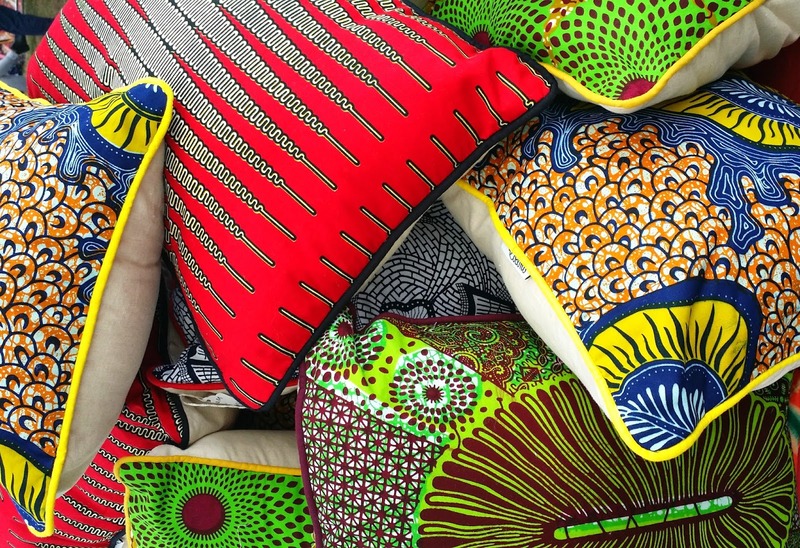 to obtain their goods, and when she can't make it there herself, the imports are entrusted to her Aunt Hylda Quaye-Nortey in Accra, Ghana, who operates a fabric store that can be relied upon to source the best and most authentic goods. I knew both ladies socially before I knew about the wonderful work they were doing with Amba. It wasn't until I chanced upon them at the Venice Artists and Fleas Market that I saw for myself just what they were creating. The beautiful fabrics stopped me in my tracks, and it was only when I pried my eyes up from admiring their wares that I saw the booth was being run by the two lovely ladies I already knew. It was an exciting moment, because I now knew not only what they had been talking about, but also how truly exceptional and unique their products were. Like DEEPLY coveted, stunning pieces that no one else will have. I loved it, and that's why we're here talking about it now. You will too. Both Blankson-Turner and Ashanti love Venice, and as Ashanti explained, "There's a pride in living in Venice, almost like an African pride. People are proud of it, but they're also laid back and there is a loving of life that is also very African." I love that. "We're here to bring people together, and Venice does that too. 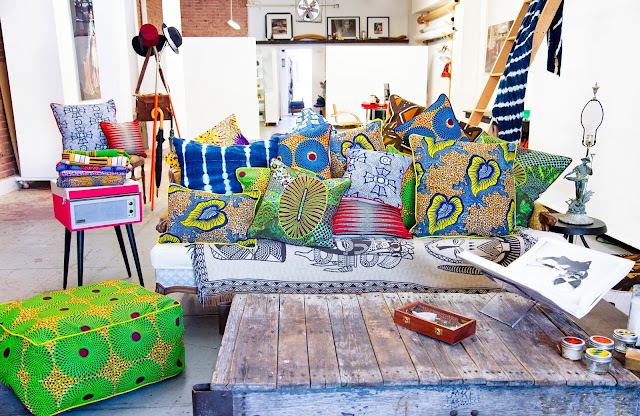 The people here are very eclectic, creative, and unique, just like our fabrics." I fully agree, which is why I think this beautiful line of products will so resonate here. "Amba" means "Seed" in the Fanti tongue of Ghana ... and the idea is that you will take the Amba seed into your home, and let it reflect your own personality. To inspire you to find your own seed and nurture it from a dream to reality, which is why even their website is called YOURamba.com. To make it your own. 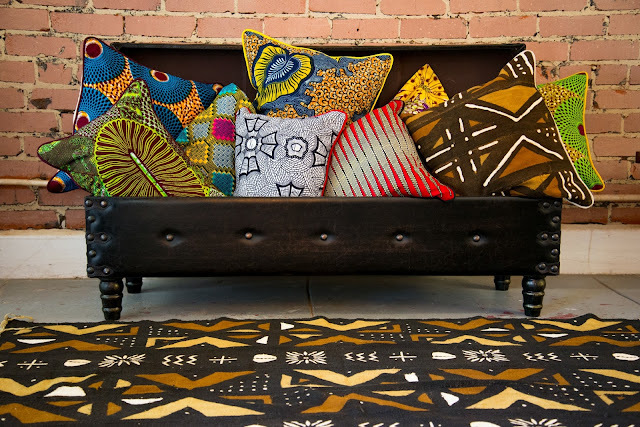 As of now, you can bring Amba into your home with pillows, chairs, cushions, place mats, coasters, lampshades, and custom anything, and will soon be expanding into jewelry, head wraps, and more fashion. I love it all, and can see where even just a splash of the wonderful Amba color can liven up a room and bring joy. Amba ... may it ever grow! Amba products are available now online and at the Artists and Fleas Market. Memorial Sunday - BBQs, Beers, Boils, Bands! Firebrand Fridays - People Have The Power!